At this exclusive opportunity for JANM members, taste a selection of traditional Japanese new year foods—including various sweets and vegetables—and learn about the symbolism of each dish. Get in line early because the tasting will only last as long as supplies last! 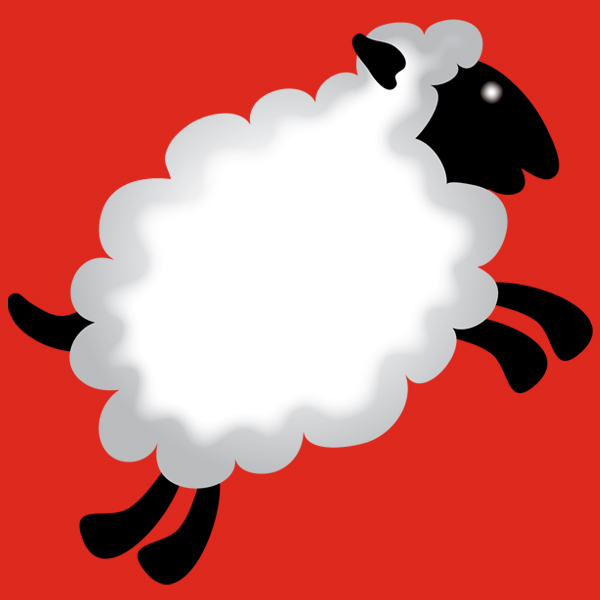 Shan Ichiyanagi will demonstrate the ancient, and now rarely practiced, Asian folk art of candy sculpting, as he makes candy in the shape of sheep. The finished pieces will be raffled off throughout the day. Members get double raffle tickets! Taikoza, a group that uses traditional Japanese instruments to create an exciting contemporary sound, will present short performances on koto (zither) and shakuhachi (flute). Get to the Tateuchi Democracy Forum early to take advantage of specially reserved seats for members! Say “Hello!” and share a hug with Hello Kitty, the star of JANM’s exhibition Hello! Exploring the Supercute World of Hello Kitty. Put smiles on your kids’ faces—our Members’ Express Line will get them to Hello Kitty faster! Watch an energetic performance from UniverSoul Hip Hop, a community-based group dedicated to educating and enriching youth by bringing hip hop dance and culture to K–12 classrooms. Members enjoy reserved seating in the Tateuchi Democracy Forum! These are just some highlights of what to expect at the 2015 Oshogatsu Family Festival. A complete schedule is available at janm.org. To become a member or renew your membership, visit our membership page. See you in the new year! Highlights from February’s Target Day with KoAloha Ukulele! 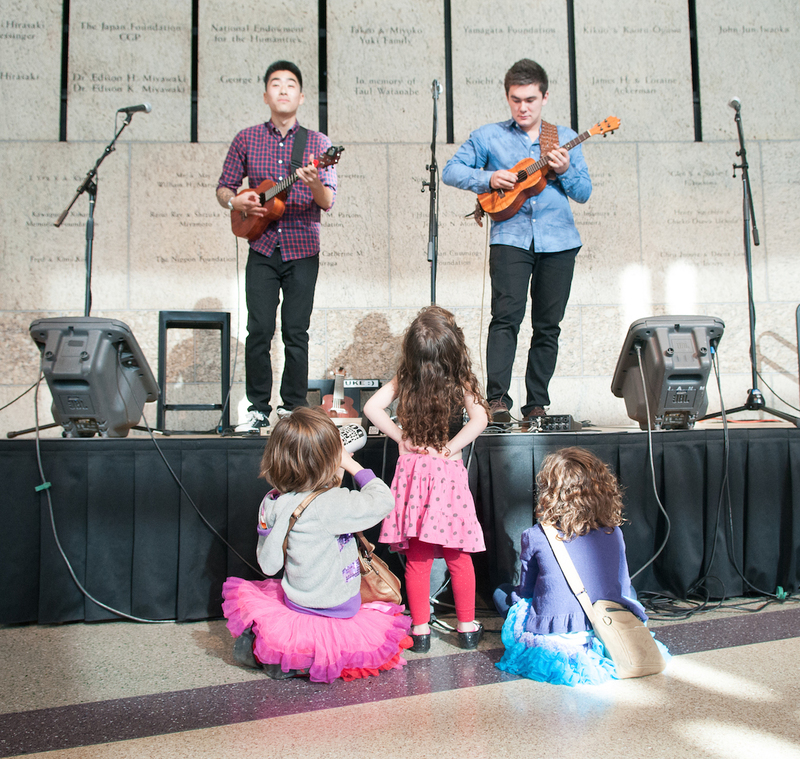 On February 8, 2014, JANM held the Target Day Free Family Saturdays: Aloha from Hawaii with KoAloha Ukulele family festival. 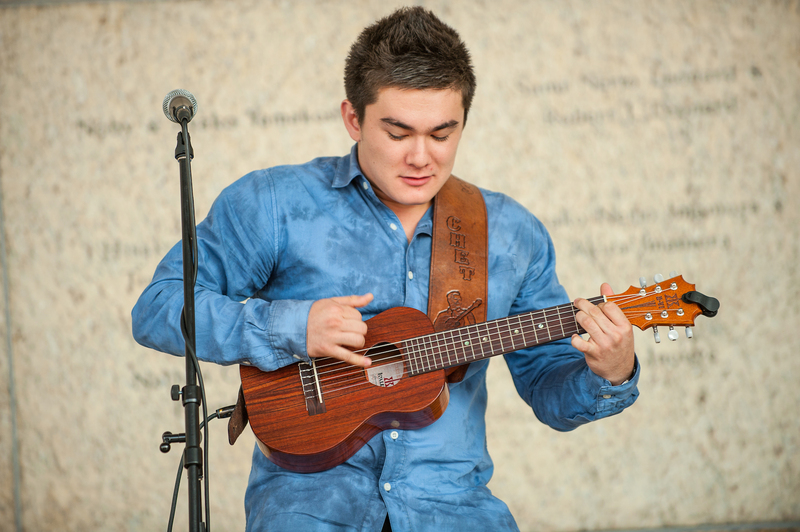 Every corner of the Museum was filled with music as KoAloha Ukulele led free performances, workshops, and more! Cartoonist Vishavjit Singh leads a cartoon workshop. Photo by Russell Kitagawa. In addition to the performances and workshops, guests also enjoyed ukulele-related film screenings of My KoAloha Story and The Haumana; and a variety of craft activities. The Adventures of Sikh Captain America, a special program in conjunction with the Marvels & Monsters: Unmasking Asian Images in U.S. Comics, 1942-1986 exhibition, completed the full day of free programming. Ryo Montgomery. Photo by Mike Palma. Throughout the afternoon the Aratani Central Hall was filled with the sounds of spectacular ukulele performances by exciting young performers Jason Arimoto, Tj Mayeshiro (from Hawaii), and Ryo Montgomery (from Australia!). JANM guests brought their own ukeleles for free classes taught by KoAloha Ukele staff and artist partners. Photo by Mike Palma. 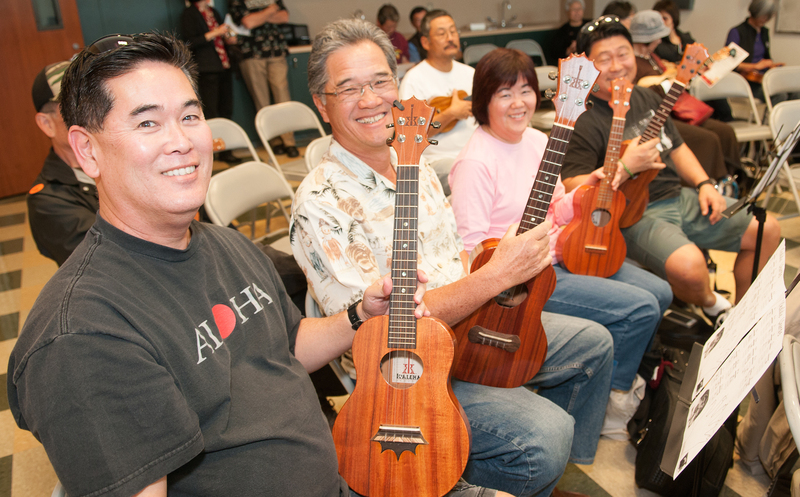 Many guests brought their own instruments for free ukulele classes with KoAloha Ukulele staff and artist partners. These lively classes were enjoyed by guests of all ages and all levels as a number of classes were offered by different artists. 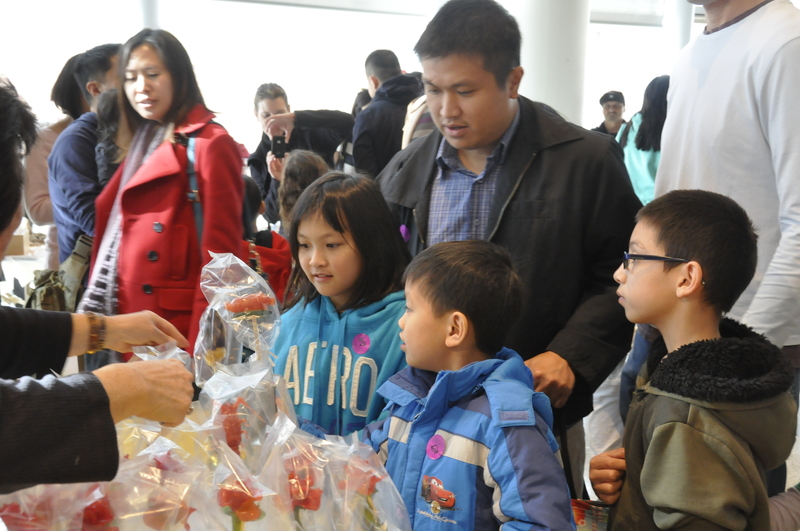 Check out these photos from February’s Target Free Family Saturday. Click on the thumbnails to see the full image larger. Guests make a sweet candy lei! Photo by M Palma. Making a special ukulele key chain with KoAloha Ukulele staff members. Photo by M Palma. Making a festive Hawaiian canoe in Ruthie’s Origami Corner. Photo by Tsuneo Takasugi. Making a valentine with a bit of Hawaiian touch. Photo by M Palma. Decorating a valentine with stickers. Photo by Tsuneo Takasugi. Solo performance by Jason Arimoto. Photo by M Palma. A young JANM guest strums along to the solo ukulele performances. Photo by M Palma. Tj Mayeshiro and Ryo Montgomery pair up for a powerful ukulele duet. Photo by M Palma. Brian Benevente of KoAloha Ukulele leads a beginner’s class. Photo by M Palma. Jason Arimoto leads an intermediate ukulele class. Photo by M Palma. Lucky students get instruction by Tj Mayeshiro during one of the intermediate ukulele classes. Photo by M Palma. Anacapa ukulele sold instruments at JANM for those inspired by all of the activities and performances. Photo by Russell Kitagawa. George “Gibi” del Barrio (Grandpa Geebz) led strum-along and sing-along workshops for the little ones. Photo by M Palma. The entire family enjoyed the ukulele workshops. Photo by M Palma. The festival closed with an All-Star jam finale featuring Jason Arimoto, Tj Mayeshiro, Ryo Montgomery, and Brian Benevente! Photo by M Palma. Thanks to Russell Kitagawa, Mike Palma, Caroline Jung, Tsuneo Takasugi, and Tokumasa Shoji for taking amazing photographs! Save the date for JANM’s next Target Free Family Saturday on May 10th! In celebration of the new Dodgers: Brotherhood of the Game exhibition (opening March 29! ), bring the whole family out for free baseball-themed crafts & activities…sure to be a home run! Stay tuned for updates on janm.org/target. 2014 Oshogatsu Family Festival Highlights! 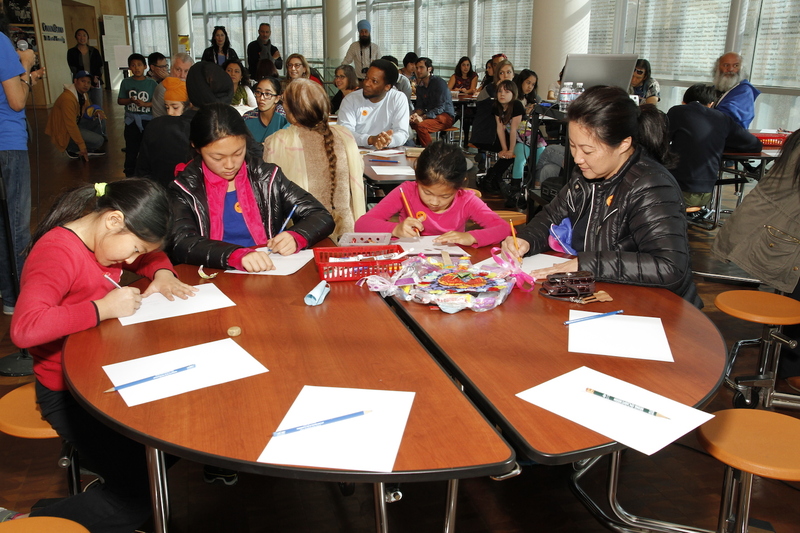 On Sunday, January 5th, JANM rang in the New Year and the Year of the Horse with fun arts ‘n crafts, food, exciting cultural activities, and performances! Oshogatsu Family Festival is one of JANM’s biggest events of the year, and we were glad to see so many guests come to join in on the fun. From folding a prancing horse origami, to jumping around in a horse bounce house, all of the activities celebrated the New Year and the Year of the Horse. Thank you to all the JANM staff, volunteers, and friends who helped out at Oshogatsu Family Festival, and of course, thank you to all the guests for helping JANM kick off the New Year with a fun and exciting day! Excitedly crafting a stick horse! Customizing a stick horse in celebration of the Year of the Horse. Prancing around the Museum with a newly made stick horse! Constructing a horse wall-hanging craft. Beginning the New Year with lucky zaru soba with Kidding Around the Kitchen. Tours of “Common Ground” are given throughout the festival. Posing with newly made stick horses. Purchasing a fukubukuro (lucky bag). What was in your mystery grab bag? Successfully folding a prancing horse origami with Ruthie! Forming a line to sample some osechi-ryori, or traditional Japanese New Year foods! 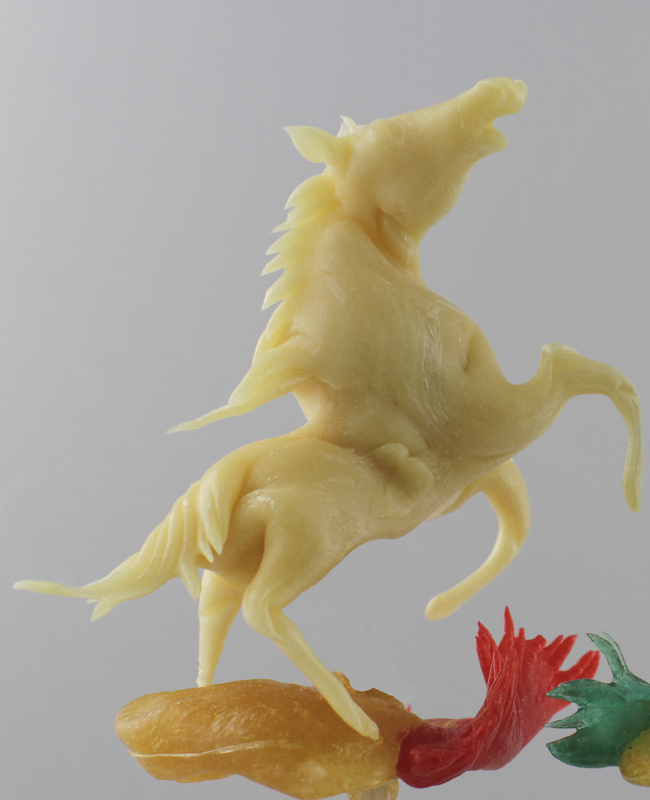 World-renowned candy sculptor Shan Ichiyanagi sculpts candy into a horse. A lucky raffle winner gets a special horse candy sculpture. Bouncing around in a horse bounce house. Enjoying free rides on ponies! 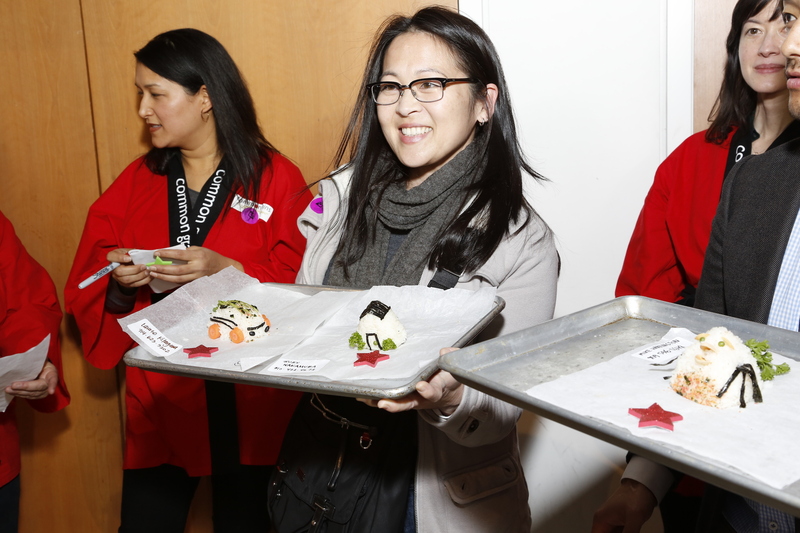 Learning how to make onigiri rice balls and entering the Onigiri Design Contest. Rushing to finish an onigiri for the design contest! Decorating onigiri for the Design Contest. Common Grains presents a gift to one of the winners of the onigiri design contest. Waiting to watch the mochitsuki demonstration. 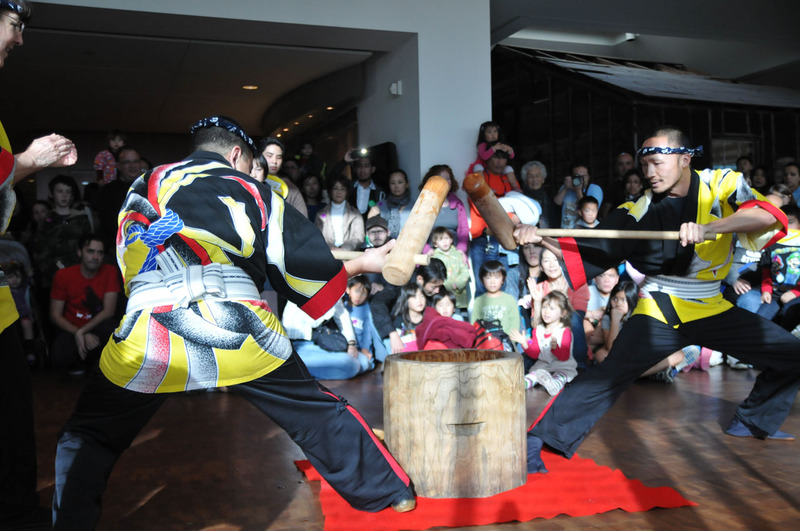 Kodama Taiko performs a demonstration of mochitsuki, a traditional rice cake pounding ceremony. Taking turns pounding the mochi. Don’t miss our next Target Free Family Saturdays: Aloha from Hawaii with KoAloha Ukulele on Saturday, February 8th from 11AM to 4PM. It’s FREE all day! Visit www.janm.org/target for more information. JANM’s annual Oshogatsu Family Festival tomorrow is free and open to the public, however, JANM would like to show our members how special they are to us. From a gourmet food tasting to Member Express Lanes, JANM members will receive special perks this Sunday at the festival. From 12pm to 2pm Common Grains is sponsoring an Onigiri Design Contest where guests can learn how to make onigiri rice balls and enter the design contest. For this event JANM members can enter a Member Express Lane, to skip a longer wait in line. This year JANM will have free pony rides for children in celebration of the Year of the Horse from 1pm to 5pm, and members can get in a Member Express Lane. In addition to member express lanes JANM members will receive special perks throughout the day. From 1pm to 2pm there will be a gourmet osechi-ryori tasting for members only, where JANM members can sample traditional Japanese New Year foods. From 12pm to 5pm world-renowned candy artist Shan Ichiyanagi will make his specialty horse candy sculptures where JANM members can double their chances in a raffle for a candy sculpture after completing an Oshogatsu event survey. 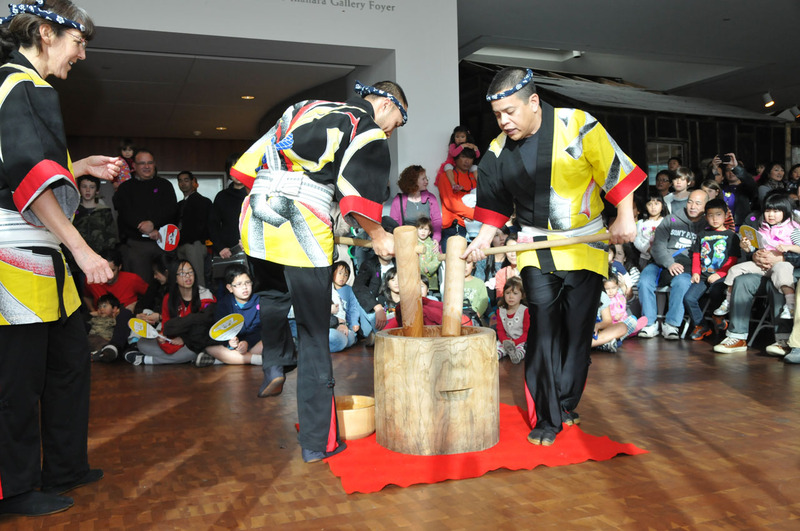 There will also be Member Reserved Seating for the 2:30pm and 4pm Kodama Taiko demonstrations of mochitsuki, a traditional rice cake pounding ceremony where free samples of mochi will be given out. Candy Sculpting is an ancient Asian folk art that originated in China and has been known in Japan for over 1,000 years. As a dying art, only a few performers exist in the world today. Utilizing old Japanese scissors, Shan Ichiyanagi, a world-renowned candy artist, can magically transform a block of molten corn syrup into a beautiful sculpture of almost any shape and size, in just 4-5 minutes! Visit Oshogatsu Family Festival on Sunday, January 5th to watch Shan Ichiyanagi make his amazing candy sculptures from 12 p.m. to 5 p.m. In celebration of the festival’s theme, “Year of the Horse”, Shan Ichiyanagi will make his special horse candy sculptures. The candies will be for children only and will be raffled off throughout the day. Be sure to check our blog for more posts on specific activities scheduled for Oshogatsu Family Festival! Photo Credits: Shan Ichiyanagi and Daryl Kobayashi. Osechi-ryori Tasting at JANM’s Oshogatsu Festival! Celebrate the New Year with special New Year’s foods at the 2014 Oshogatsu Family Festival on Sunday, January 5th. It’s FREE all day from 11AM to 5PM! Guests can learn how to make onigiri and submit their creative rice balls in an Onigiri Design Contest; Kidding around the Kitchen will provide the ingredients to make some lucky zaru soba (buckwheat noodles); and there will a mochitsuki demonstration by Kodama Taiko, where free samples will be handed out after each performance. Not only is food a major component of JANM’s Oshogatsu Family Festival, but it is also a major component of traditional Japanese New Year celebrations. That’s why JANM has organized an Osechi-ryori tasting for the festival! Osechi-ryori are traditional Japanese New Year foods. The dishes that make up osechi each have a special meaning celebrating the New Year. Learn more about these dishes, and try them out for yourself at the festival! There will be a general Osechi-ryori tasting from 12PM – 1PM, followed by a Members Gourmet Osechi-ryori tasting from 1PM – 2PM, which will be for JANM members only. Remember to get in line early because the tasting will only last as long as supplies last! Stay tuned for more blog posts covering the special activities planned for Oshogatsu Family Festival! Onigiri Contest at JANM’s Oshogatsu Family Festival! 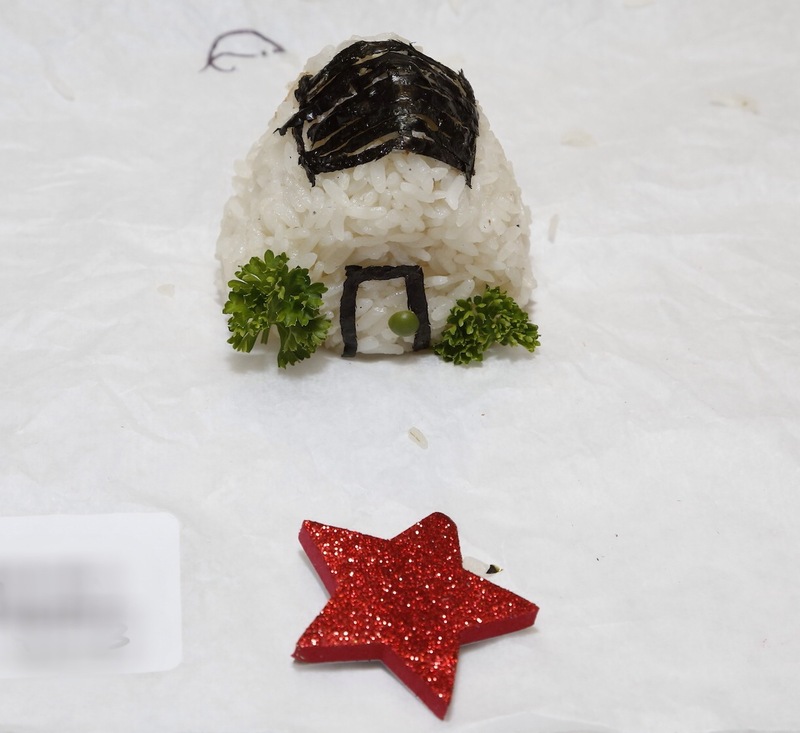 On Sunday, January 5, 2014, JANM will once again be holding an Onigiri Design Contest at the annual Oshogatsu Family Festival! Onigiri are rice balls that are traditionally shaped into triangles and balls. However, onigiri can be pressed into many different shapes and decorated with all kinds of materials. Onigiri is made with plain rice and wrapped in nori (edible seaweed). Traditionally, the onigiri is filled with pickled salted plum fruit (umeboshi), salted salmon, bonito shavings, katsuobushi, or any other salty or sour ingredient. 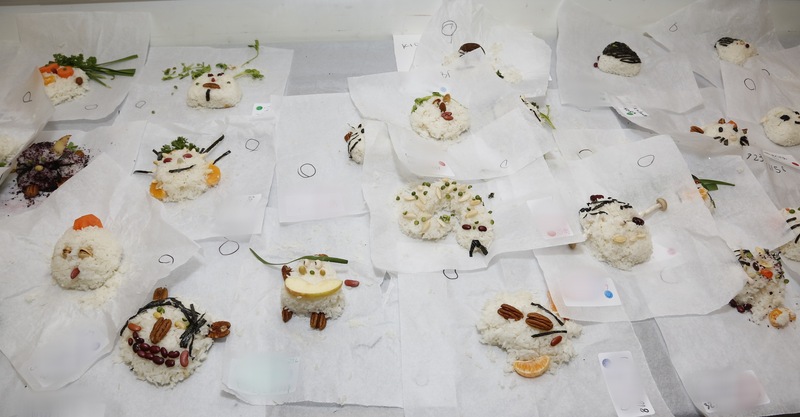 From 12PM to 2PM learn how to make and decorate onigiri rice balls, and stick around until 3:30PM, when the Onigiri Design Contest winners will be announced. The Onigiri Design contest will be sponsored by Common Grains, a project dedicated to providing people with a deeper understanding and appreciation for Japanese food and culture. Common Grains aims to share the traditions and pleasures of eating grains and vegetables within a healthy, sustainable lifestyle. For more information, please visit their website, commongrains.com. Be sure to check our blog for more detailed posts of the activities planned for Oshogatsu Family Festival! The Oshogatsu Family Festival will be from 11AM to 5PM and is free and open to the public. 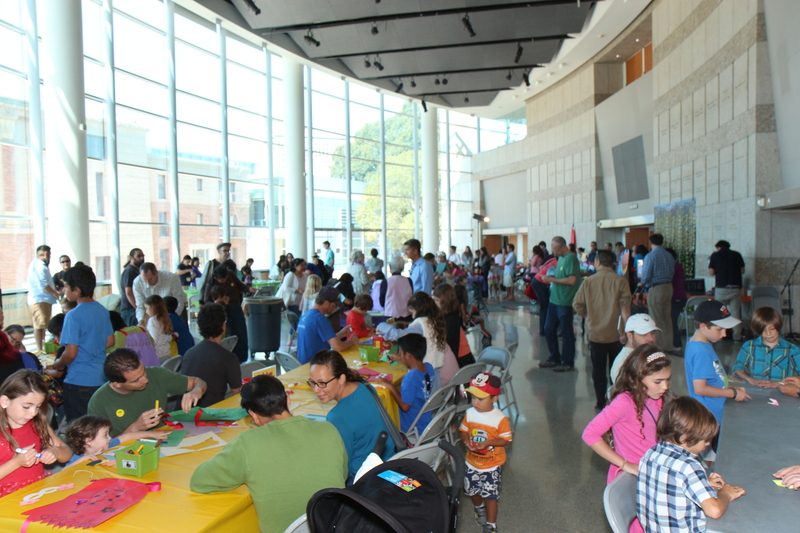 The day will be filled with fun arts & crafts, food, exciting cultural activities, and more! For the complete festival schedule, please visit janm.org/oshogatsufest2014. 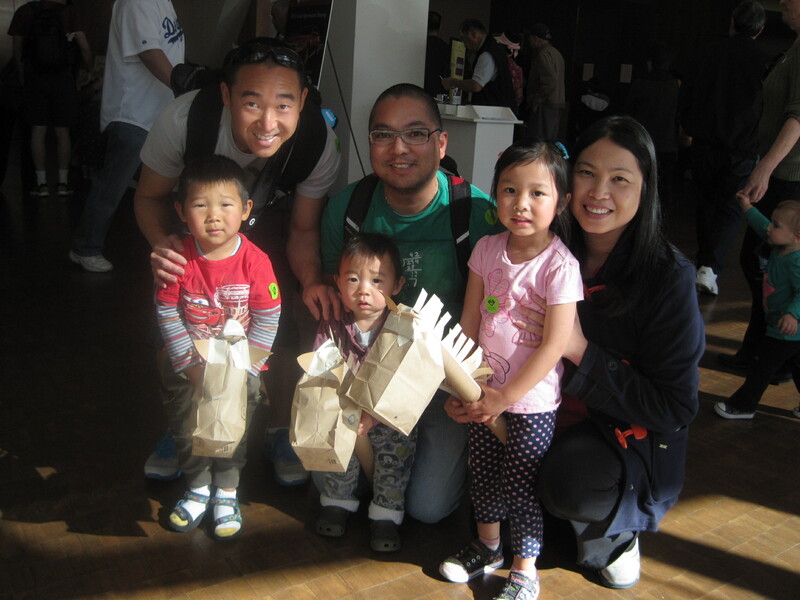 On November 9, 2013, JANM celebrated autumn with many guests at Target Free Family Saturdays: Awesome Autumn! The day was filled with free activities such as putting together a festive fall salad, banging on a drum in a drum circle, sitting in on a reading of Thanksgiving at Obaachan’s, decorating a furoshiki (wrapping cloth) for a mini omanju (traditional confection), and much more! The Go For Broke National Education Center also held an important event at their monument. 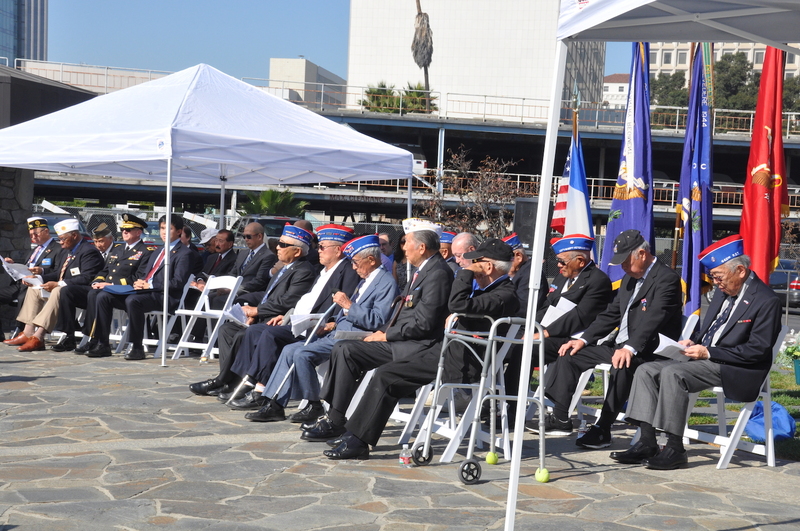 11 veterans of the 442nd Regimental Combat Team were reminded of France’s gratitude for their efforts during World War II and received the French Legion of Honor Medal. Words of remembrance and appreciation, followed by the pinning of the Medals were presented by Fabrice Maiolino, the Deputy Consul General of France in Los Angeles. Afterwards, exciting activities ensued at the Go For Broke Monument in honor of Veterans Day. Guests were able to view the monument, and enjoy various family-friendly activities as well. It was an exciting Saturday to celebrate the season, and Veterans Day. 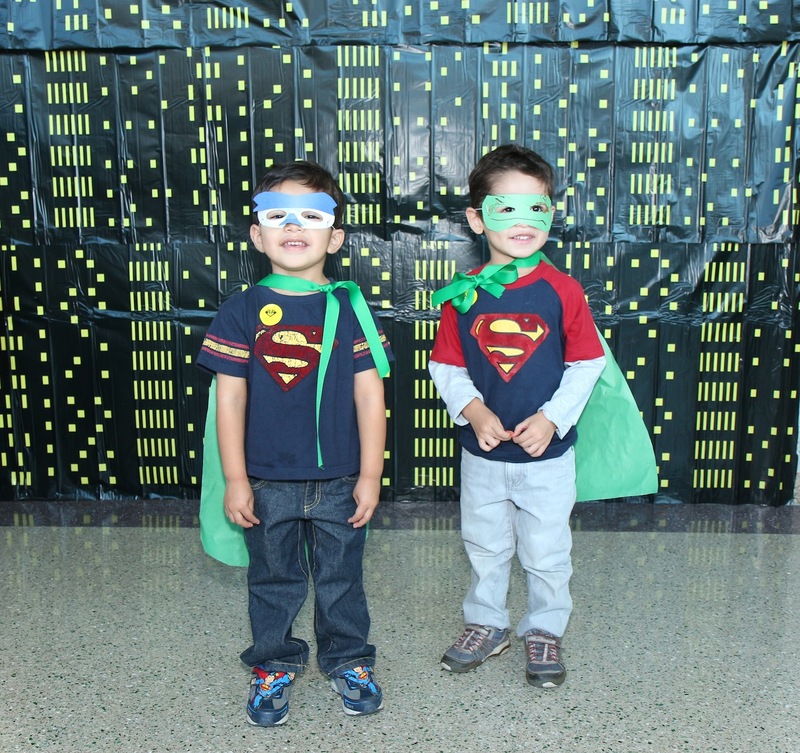 Check out these photos from November’s Target Free Family Saturday! With the help of parents, assembling crafts is easier and more fun! Making your own owls can be fun, but it’s still a lot of work! Coloring a Veterans Day related coloring page with the Go For Broke National Education Center. Children and adults alike, enjoy the energetic drum circle. Each drumming session was packed with guests! Concentrating on decorating and assembling a custom-made owl. 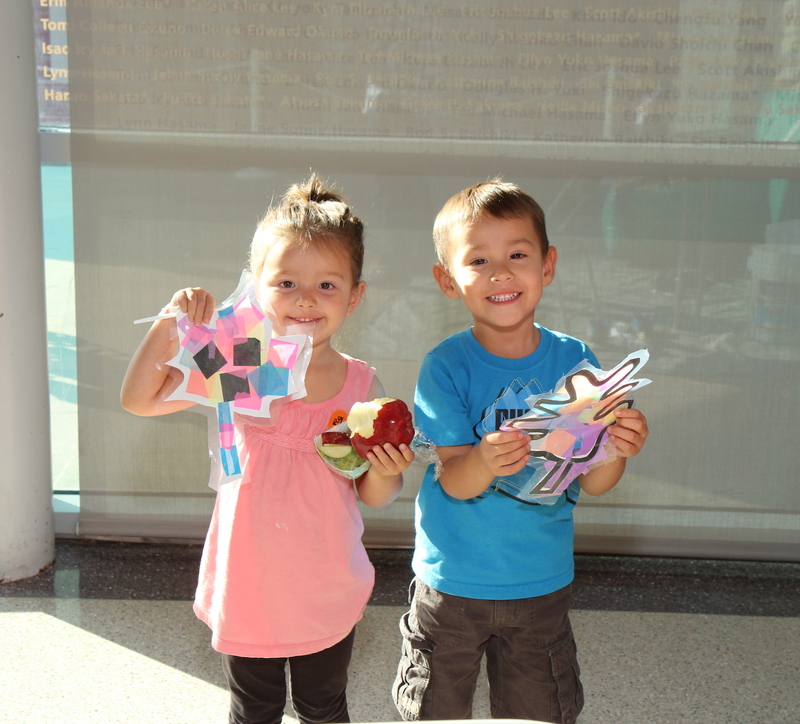 A pair of JANM guests show off their autumn-themed crafts! Father and son pose with a caricature of themselves. Don’t miss our next Target Free Family Saturday, “Winter Wonderland” on Saturday, December 14th from 11AM – 4PM! It’s a Winter Wonderland of seasonal crafts & activities including photos with Asian American Santa, a horse-drawn carriage, and kamishibai story-telling! For more information, visit janm.org/target. If you haven’t gotten a chance to see it already, JANM’s newest exhibition, Go For Broke: Japanese American Soldiers Fighting on Two Fronts is on view until March 2, 2014. For more information on the exhibition please visit janm.org/goforbroke. JANM is Number one on LA’s Hotlist! 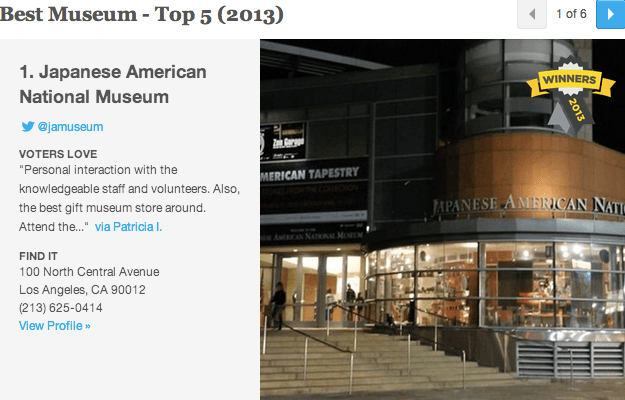 Earlier this week, la.cityvoter.com announced that the Japanese American National Museum was voted “Best Museum” on the 2013 Los Angeles Hot List. JANM was runner up for Best Museum in 2011 and 2012, but this year, LA voters placed JANM on top of 38 other great museums—including institutions like the J. Paul Getty Museum, and the L.A. County Museum of Art—for the number one spot! Public Programs, such as October’s comics-themed Target Free Family Saturday, helped JANM reach the #1 spot on LA’s HOTLIST! JANM was voted not only for its unique exhibitions, but for it’s public programs and exceptional staff and volunteers as well! To all of those who voted for JANM, thank you so much! Also, thank you to our visitors, Museum members, staff, and dedicated volunteers for making JANM an amazing and vibrant institution!